What can you do with 50 cent a day? Send a child to school! What can you do with 50 cent a day? Send a child to school for 50 cent a day! The situation of most children living in Acholi quarter is heartbreaking, but with only 50 cent a day we can send a child to a good primary school. 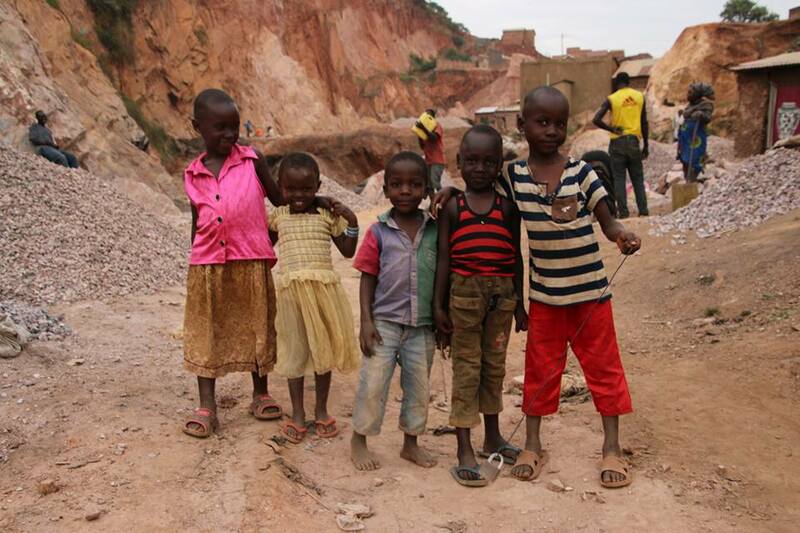 During my last visit to Uganda we visited the stone quarry, where I have found most of our kids working before we managed to send them to school, and where also their parents still work. Many children who are not YET in our program were sitting there in dirt. Crashing stones. I am in tears. The last days were so overwhelming and hectic. I have been at my own funeral, kind of, a room full with people, who all came for me. But as I don’t speak the language, I was hiding at the back of the room with my camera, taking some pictures and listening. Listening to what David said about me (he spoke Luganda and English, which than Susan translated into Luo). Hearing stories about myself. What type of person I actually am. Where I was born. How I grew up. Why I came to Uganda. Why I decided to help. How my life as a nomad looks like. I heard especially a lot of good things dispact the fact that I am 32 years old and not married and have no kids.haha. So this ‘funeral’ was actually our parent conference. 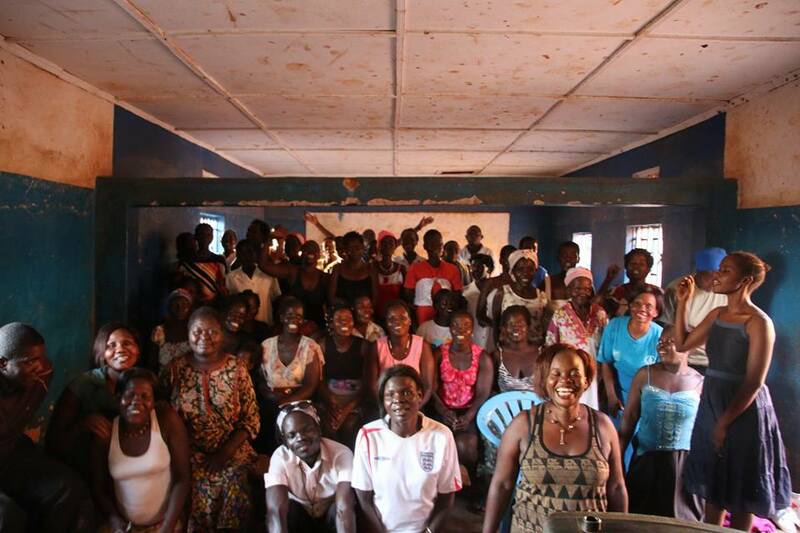 We got all parents/caretakers of our kids together of Kampala’s Acholi Quarter slum (internally displaced camp for war victims from northern Uganda). Many of the parents are also part of our artisan team, making jewellery for 22STARS. The school started this week, so we wanted to speak with them about their responsibilities, and also what we do and our challenges. Susan spoke some strict words to the parents, but overall there was a lot of laughter and happiness and cheering and dancing. People thanking me and telling me how grateful they are. I also had to speak a few words to the parents. As I dont speak Luo Susan and David translated my words. I didn’t really had a speech prepared and there I stood, quite overwhelmed. So I told the parents why I love their kids. It’s not about how much money you can give to your kid. But how much love. And which values and manners you teach them. I gave them some examples about kids who are not loved, and kids who have rude behavior, disrepect others and are dishonest; they get no where. Where as our kids in Acholi Quarter are for real the cutest, thanks to their parents raising them like this. They always shake my hand, come in and thank me, come running to me to carry my bag, share their cookies with others, take care of each other and are motivated. The next day all kids came to our office for their usual weekly Sunday meal and we got a pastor over to bless them for the new school year. Susan and me made final payments to the schools, which has to be done in cash to avoid fraud, we talked with the teachers and I took tons of pictures of happy kids. The kids thanked me and told me to say hi to their sponsor and that they hope he/she will come one day to visit them. I had a five hour meeting with David and Susan and we have many updates to share with you soon! We also have some difficult decisions to make: use extra donation money to send more kids to school or to give our current sponsored kids a mattress to sleep on? In Acholi Quarter so many parents tried desperately to sell some things, to still raise enough money and those last 50 cent for the fees of their children who are not yet sponsored by us. Then we walked around Acholi Quarter. The whole area was so active. So many parents desperately trying to sell some things to get money together to send also their kids (who are not sponsored by us) to school. Some missing only 20.000 ugx (5 euro). Our phone was ringing the whole day, whether we can still put one more kid in our program. We visited the stone quarry, where I have found most of our kids working before we send them to school and where also their parents still work. Many children who are not YET in our program were sitting there in dirt. Crashing stones. Little toddlers of 3 years walking around crying, cause they don’t know where their mother is. Kids crying while crashing stones. Children are crashing stones instead of being in school in order to earn money for food. A grandmother putting in front of me three of her grandchildren who lost their parents, bagging me to send them to school. Little girls grabbing my hand asking me to please also take their picture and show it to sponsors. I took their pictures and was about to cry in front of them, but I didn’t do it and I stayed strong. And told my self, “Come on Stella, we Europeans saw these pictures now tons of time by Unicef. We are not having feelings anymore for that. You probably feel like crying, because you didn’t slept so much the last days.” Who nowadays still cares about kids without food sitting in a stone quarry instead of school?! People earn not even an euro a day, so for them 50 cent a day for school fees is A LOT! But what is it for you? You know what’s crazy? With only 0.50 euro cent a day we can send a child to a good primary school; only 50 cent!! Which is way too much for people living in the slums on a dollar a day. For a Jerrycan that is full with crashed stones they just make around 5 cent! So they need to get 10 Jerrycans full a day fo that. If you also want to sponsor a child, please don’t hesitate to email me!